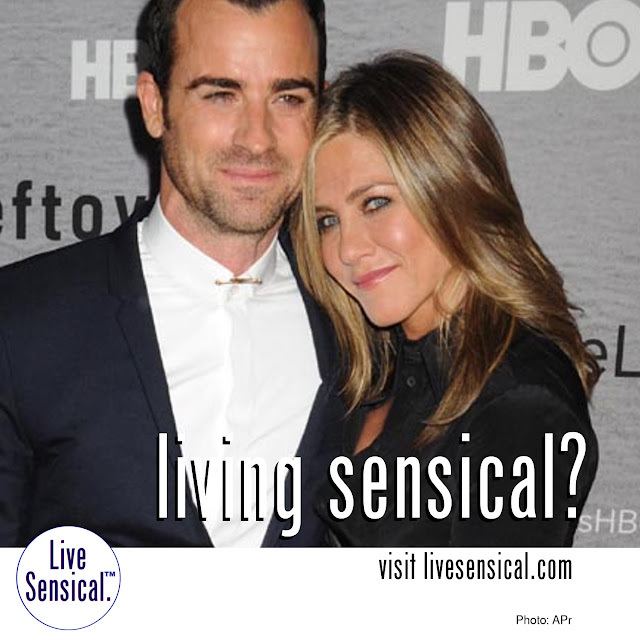 Live Sensical: Jennifer Aniston - Justin Theroux - Secret Wedding - Living Sensical? Jennifer Aniston - Justin Theroux - Secret Wedding - Living Sensical? Jennifer Aniston marries Justin Theroux (how to livesensical.com?) in secret wedding After much speculation about their long awaited wedding date, Hollywood stars Jennifer Aniston and Justin Theroux managed to pull off the ultimate secret wedding at their Bel Air home on Wednesday (August 5). According to reports, the ‘Friends’ star married Justin Theroux in an intimate gathering with about 70 guests including co-star Lisa Kudrow, Sia, Emily Blunt, Chelsea Handler and Ellen DeGeneres among others. Jennifer Aniston & Justin Theroux Are Married! Jennifer Aniston And Justin Theroux Jet Off On Honeymoon After Surprise Wedding - SEE PHOTOS!